As my family and I left our nation’s capital last week on our journey to the Heart of Texas and Baylor University, we experienced the natural beauty of the historic Shenandoah Mountains, Natural Bridge, Virginia, Memphis and Nashville, Tennessee and the Mississippi River, among other landmarks. The trip led me to reflect on Baylor University’s unique history, as the oldest continuously operating university in Texas, having been established before Texas was a state. From early governors and legislators to supreme court justices and state education leaders who championed the establishment of other institutions of higher learning in the state, Baylor’s alumni and its roots are deeply entwined with Texas history. It is affirming for me, as I begin my responsibilities at Baylor, to see that wrapped around our aspirations are other important experiences that add to a student’s ability to find and pursue their purpose in life and to grow into the person God intends them to be. At Baylor, those student experiences include collaboration with acclaimed faculty, participation in hands-on research, opportunities to cultivate faith and horizon-expanding ministry and service. We also are committed to success in the arts and athletics, but doing so in a way that enhances and supports the overall student experience within a Christian environment. From the founding of Baylor, students have always been at the heart of the university mission. In keeping with that tradition, I look forward to spending time with our students and listening to their hopes and dreams, to engaging in activities and events that students are participating in, and to meeting with students to hear their issues, concerns and suggestions. Over the past few weeks, I have often been asked what I would tell parents who have students coming to Baylor this fall or who are considering Baylor for next year. As the mother of a daughter who is a rising college senior, I would tell parents that Baylor is an exceptional academic institution where students meet lifelong friends and have transformational experiences. I would also acknowledge that mistakes have been made that were not addressed appropriately, particularly with regard to sexual violence on campus. The lessons learned from those mistakes, and the many changes made to ensure a safer and healthier campus for all of our students, have resulted in Baylor being a better place now than we were two, three and certainly five years ago. I am confident that students coming to Baylor today will experience a safer and healthier environment. They will have a richer academic experience, and will connect with one another and with faculty in much more profound ways. 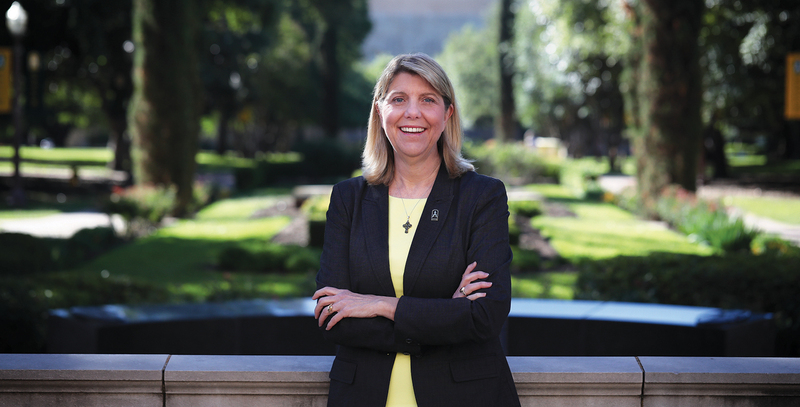 I am honored for the opportunity to lead Baylor University — its students, faculty, staff, alumni, parents and friends — into a very bright and exciting future as we continue to develop the heart of Baylor: our students.